The building where Ziggie & Mad Dog’s Restaurant sits dates back to the 1930’s. The structure was originally built as an outbuilding on a pineapple plantation and later served as the sales office for the Pen Key Club. In the 1950’s it would transform into a small restaurant and in 1962 Ziggie Stocki purchased the property for $100,000. The legendary Ziggie’s Conch was born! The property has a rich and wonderful history. Dating back to 1948 the Miami Herald reported stories of police shoot outs with gamblers and shady characters referred to as “the new Capone gang,” and it’s said Al Capone was a part of the high-stakes card games and casino action held in the back building. Ziggie himself was a notorious gambler and drifter. Legend has it that John Huston got the idea for the movie “Key Largo” while gambling at a casino Ziggie was known to have frequented. In the thirty years of operation, Ziggie’s Conch was world renowned as one of the finest dining experiences in the entire Florida Keys. Ziggie’s Conch is remembered for its “FINE FOOD” neon sign and “Ziggie your host” in neon script, lime green walls, mountedfish, and the nonworking player piano built like a boat. While Ziggie was making a name for himself in Islamorada, Jim Mandich was making his way to South Florida. Following an All-American career as a Wolverine at The University of Michigan, Mandich was welcomed to Miami as the Dolphin’s first selection in the 1970 NFL draft. Under the guidance of Coach Don Shula, Mandich’s maniacal playing style was unleashed and that, combined with his wild and crazy off-field exploits, quickly earned him the “Mad Dog” nickname. Mad Dog was an important player during the Miami Dolphin’s “glory years” winning Super Bowls 1972 and 1973. 1972 was also the year that the Miami Dolphins would become and remain profootball’s only unbeaten team enjoying a 17-0 “Perfect Season”. In September 2005, Jim “Mad Dog” Mandich along with his longtime business partner Randy Kassewitz, purchased the legendary Ziggie’s. On April 15th, 2006, after 7 months of renovations, Ziggie & Mad Dog’s was launched. The original bar, the slate wainscot and terrazzo have all been refurbished with great care. The pictures throughout the restaurant celebrate the history and characters of the Florida Keys and the Miami Dolphins. The Restoration of this iconic Florida Keys landmark was one of Jim’s proudest achievements. Sadly, Jim Mandich passed away in April of 2011. His love for the Keys extended back to the 1970’s, when he played for the Miami Dolphins. He would tell stories of getaways to the Florida Keys and visiting the original Ziggie’s Conch. Some of his most memorable times in South Florida were spent in Ziggie & Mad Dog’s and he would want that same joy for every patron. The Keys always reminded him that life is a precious thing and never waste it. Mad Dog truly loved the conch life! 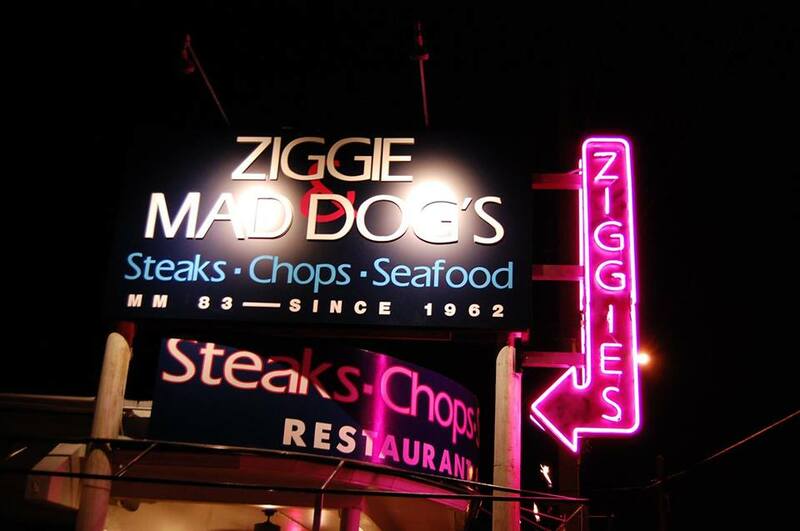 Today, Ziggie and Mad Dog’s has become a destination steak house… one of the finest in South Florida! Ziggie and Mandich’s culinary influence are on display even today with some of their favorite dishes sill on our menu. No trip to the Florida Keys will be complete without a visit to Ziggie & Mad Dog’s. 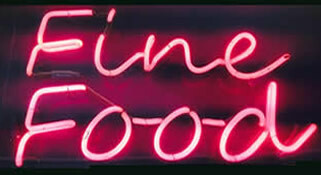 We look forward to you dining with us and adding to our glorious tradition.